One need not go far to see how local participation and able leadership can do wonders. In just a few years, the scenic town of Dhulikhel has become a health, education and tourism centre befitting its status as the district headquarters of Kavrepalanchok. "We had a clear vision on how to develop Dhulikhel. We wanted basic infrastructure like water, health and educational facilities in place, and we wanted the people to lead these projects," says Bel Prasad Shrestha, the former mayor of Dhulikhel. Today, Dhulikhel is home to the country's finest university, a state-of-the-art community hospital, and a consumer-managed drinking water system, all built through initiatives from the local community. 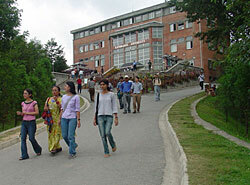 The founders of Kathmandu University had failed to find a location until they were invited to Dhulikhel to build the campus. The municipality quickly recognised its potential and agreed to donate 200 ropanies of land, and make arrangements for road, electricity and water within three years. Although the municipality had an annual budget of only Rs 2 million, Shrestha, who was mayor then, motivated local businessmen to chip in with some land and money. The university, completed in 1991, has become an integral part of the local economy today. 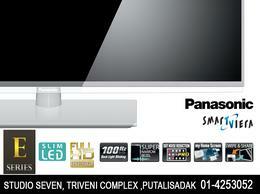 It employs many locals and many students from Banepa and Dhulikhel study there. After the university was completed, a Quality Education project was initiated in 1997 to upgrade the educational standards of local schools. Upon the three-year project's completion, the SLC pass rate of Dhulikhel jumped from 26 to 73 per cent. Dhulikhel is also home to the country's first community hospital. Established in 1996, Dhulikhel Hospital is one of the best equipped in the country, but that hasn't stopped it from being accessible to the poor. 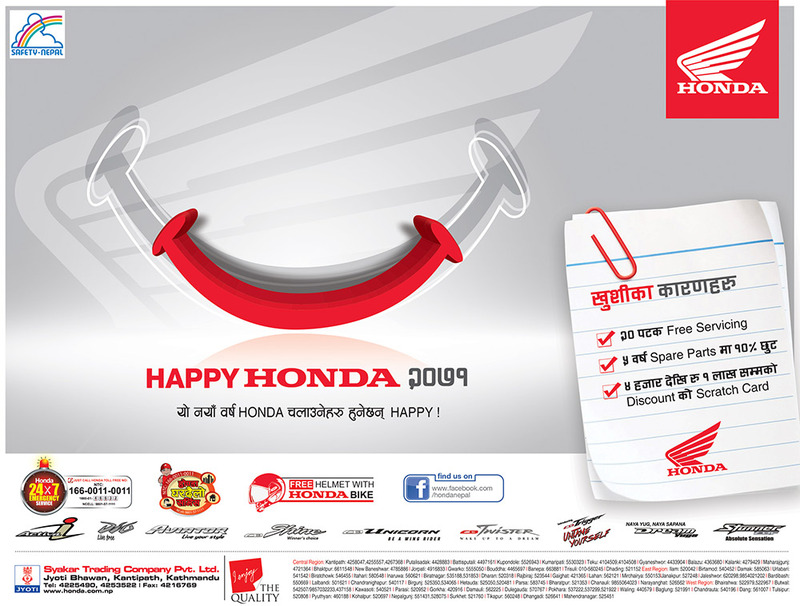 It provides quality health services at one of the cheapest rates in Nepal and is the only one to treat patients before charging them, though most patients are treated for free. 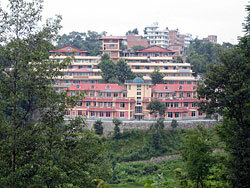 The hospital runs outreach centres at 17 locations in surrounding districts, and is also a teaching hospital for the students of Kathmandu University Medical School. "Everyone should have access to quality healthcare whether or not they can afford it," says Dr Ram Kantha Shrestha, the hospital's founder. "Just because it is a hospital for the poor doesn't mean it should be badly maintained, or that we should compromise on the quality of services." The success of this model is apparent, for there are 200 community hospitals in Nepal now. Water management in Dhulikhel is also an exemplar of how users can manage utilities. While most towns in Nepal reel under water shortages, 80 per cent of Dhulikhel's population is supplied with purified drinking water from a source 14km away. The Dhulikhel Drinking Water Users Committee, which is the only urban water supply system managed by users in Nepal, also ensures that revenue is used to expand its services. The project was constructed with the aid of GTZ, donations from locals, and municipal funds. There was a time, back in the 1980s, when the decision to elevate Dhulikhel to the status of a municipality provoked such outrage in neighbouring Banepa that it blockaded the up and coming town. Today, Dhulikhel Municipality has proved wholly deserving of the designation. 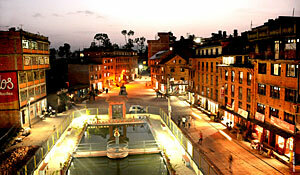 It has been estimated that Nepal's urban population, at 10 per cent in 1991, will reach 32 per cent by 2027. If towns across the country �" and indeed the capital �" can draw on the lessons of Dhulikhel, they will secure their future for themselves. Everyone in Dhulikhel would agree that the changes in town would not have been possible without the charismatic leadership of Bel Prasad Shrestha. The three-time mayor of Dhulikhel was the first in town to open a lodge for tourists and the first to build a public toilet. His success in bringing water to the town made him highly popular and the people showed their support by electing him for three consecutive terms. Bel Prasad, however, thinks otherwise. "Dhulikhel has succeeded where other places have failed because everything that we did here was a people's project. If we had waited for the government, Dhulikhel would still be the same nondescript town it was along the Arniko highway." The sense of community is strong in this Newari town. Many of its people have gone as far as Sikkim and Assam to do business, but value their roots in Dhulikhel. Schools, temples and roads have been built with their remittances. Dr Ram Kantha Shrestha, for instance, left his well-paying job in Austria to open a hospital for the poor back home. Having started with no more than two doctors and four rooms, Dhulikhel Hospital has already served 2.6 million people and conducts 10,000 surgeries and 500,000 treatments a year. Banepa Bardibas highway, which is nearing completion, will open up a range of possibilities for Dhulikhel. Once the highway is completed, Dhulikhel will be the main entry point to eastern Nepal, and may soon develop into an economic hub. The Suryabinayak-Tinkune highway will mean that Dhulikhel will be accessible from the centre of Kathmandu in 45 minutes. But does this mean that this model town will fall prey to unplanned urbanisation? "It does not have to be that way," says the Chief of the Planning Section in Dhulikhel Municipality, Jaisi Mandal. He says tourism will remain their main priority and the current policy of banning industries that pollute the town will continue even after the roads are opened. As a centre for tourism, Dhulikhel has always understood the importance of maintaining a clean environment. The municipality disposes of solid waste in a dumping site after separating recyclable waste, and sewage is treated in a reed bed treatment plant before it flows back into the rivers. These practices are adequate for a population of 15,000 but some fear that the pressure will be too high once the town starts growing. "Efforts are already underway to prepare Dhulikhel for the population rise that will accompany the completion of the roads," says Prakash Aryal, Project Manager of the Urban Environmental Improvement Project. A land pooling project will build a planned settlement for more than 5,000 people. Former mayor Bel Prasad Shrestha believes that there is no alternative to expanding the town. "A greater municipality should be formed by merging Panauti, Banepa, Dhulikhel and the surrounding villages. The municipality should then be developed in a planned way with separate sections for residential, tourism and industrial purposes. Let that be a model for planned development in Nepal," he says. After a brief hiatus during the war, tourism is booming in Dhulikhel. Tourists throng its hotels for mountain vistas that are among the best in the world. Twenty mountain peaks from Annapurna in the west to Karolung in the east grace the spectacular skyline of Dhulikhel. A breathtaking mountain sunrise can be viewed from the Kali Temple, southeast of the town. Short hikes can be taken from Dhulikhel to Namobuddha, Panauti, Nagarkot, Sankhu and Palanchowk Bhagwati. Most hotels also provide excursions to Tatopani and rafting trips on the Bhotekoshi. The old town of Dhulikhel is a visual treat in itself. The cobbled streets of Dhulikhel are lined with Newari-style houses, some of which are more than a hundred years old. At 1,500 metres above sea level, the climate is pleasantly cool and the lush green hills make for pleasant walks and great mountain biking trails. In the past few years, Dhulikhel has also developed as a centre for conference tourism. "Hotels in Dhulikhel always have one conference or meeting taking place at all times," says former mayor Bel Prasad Shrestha, who is also the owner of Hotel Himalayan Horizon and Dhulikhel Lodge. Mid to high-end accommodation is available in the 24 hotels in Dhulikhel. The Road To Progress.-HONEY MOON ROAD. This is a nicely built road ,no doubt. It will be very useful as as a rural road for the villagers at the adjoining villages to market their produces.,from connectivity point of view. it has a long history;as one knowing Raj Das Shrestha the pioneer from Banepa, who moved this project even before RTO. This was 60 years back.The history of RTO's road we remember.. It started during B P Koirala.s days. But was abandoned. It took many many years to revive this project. But Indians did not like a connection with Kodari Highway. They tried to prevent the Kodari as well. Mahendra once said,' Communism does not come through the highways." Again Indians pressurised Japaneses not to start the road; finally there was secret understanding to keep it one lane only. Now it is an excellent Honey Moon Road for the Valleypeople as well as for Tarai ones. Sometimes such things can become a blessing in disguise. Run some type of rail in this highway;something custom made. Nepalese kind of BART! or Monorail. No buses to pollute.? May be this way we can transport goods as well. There will not be traffic pollution in yje valley ;as only feeder connection will be given . This has to connect with Kodari for trade with China-Tibet. From Bardibas to Kodari.Bhadgoan Post. Thank you for sharing this story. I hope other towns and cities learn from the Dhulikhel. We need more of visionary leaders like the mayor. Introspecting on life's great mystery's members of historic losers association including Marx and Engel's wondered what would would be God's last statement if he were dying in your arma - a) "we apologise for the inconvenience" or b) f**k you. Around the same time both Marx and Engels died and were tremendously shocked when they discovered that there was indeed an afterlife, only to be dismayed a second later by the sight of massive, never ending, furnace - which they appeared to be heading towards. It was at this moment that they saw a tiny white light, from which emanated a deep, fatherly, dazzlingly pure voice, which sounded like "schtup thee". Being Germans and headed to hell they were not sure what it meant and reports suggest they still wonder and are looking for an Aramaic interpreter. They should have looked for the mayor of Dhulikhel to get them an answer, but of course he is not going there. Thank you very much again Ms Mahato. This is an excellent example of a success story which could happen due to the hard work and vision of Mr Shrestha and Dr Shrestha.Of course, people of Dhulikhel deserve our praises and commendation.Very pleased to know that Dhulikhel is prepared for the future challenges as well. Trust Dhulikhel has taken environmental issues seriously. Hope other towns will learn from Dhulikhel. Banepa -Bardibas Road.--A Honeymoon Road or A Railway Link? This road has a very long story typical of Nepal's one aspect of unfortunate development history. Being conceived over 60 years back by a local pioneer Raj Das Shrestha, the road was a component of RTO during BP Koirala. 's Premiership days.Engineer Birendra Kesari Upadhaya must be feeling comfortable in his sick bed these days that something is now being realised;.He was the engineer-in -charge those days.It is an exampleof a road properly built inNepal, although it took so long to build Poor Nepalese, magne lai tato bhat! Beggers are not the choosers. It is unfortunately o n e w a y road.It cannot thke the heavy traffic of human and goods from the east. It will be useful to the agricuture producer to send their produces to Kathmandu Valley and the Tarai. 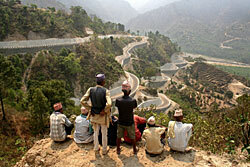 It is a grand rural road par excellence, but not a highway of present Nepal. Again it is a n excellent road for the honey-mooners, a HONEYMOON ROAD of the FUTURE. India always blackballed this project as it linked with the Kodari Highway.. They thought that it was a link between Nepal China. it can be a blessing in disguise, if we can capitalise in this road . We can run a specially designed rail system, BART like or mono-rail like on it. The Germans can help us. From Bardibas to Kodari Bhadgoan post!!! Salute to Bel Prasadjee and Dr.Ram Kanthahjee for your outstanding achievement, more than that for pioneering a paradigmatic shift in our thinking! Your vision, your will power, and above all, your love to your native place have helped to materialize this dream. Perhaps Nepali politicians, policy-makers and professionals should have the courage to learn from home experiment. Two lessons for our 'netajees' and 'bikashbadis'. First, local community-level initiative is absolutely important to create momentum. "If we had waited for the government, Dhulikhel would still be the same nondescript town". Sadly, this applies to many communities and institutions in Nepal today. In a complex transition period that Nepal is undergoing right now, when the so-called "center" is defunct, defeated, demoralized and "necrotic" in every sense, it is the "periphery" that should sow the seeds of hope and positive initiative. This "organic" growth (regeneration) from the periphery would ultimately give much needed nutrient to the starved Nation. Second, grafting foreign ideas (or even ideologies), thoughts and practices as it is, is not going to work. The very nature has an inherent tendency to reject such grafted pieces and imposition from without. What we need is creatively craft a vision for growth and stir the enormous potential from within. The challenge is how to blend modernity with the local culture and tradition. Respect the native wisdom. Yes we need inner transformation. Can our politicians learn these two mantras? The future of Nepal largely depends on this. Better go to Dhulikhel and learn from the local people!